Guru Nanak, the first Guru and founder of Sikh religion, had two constant companions namely Bala and Mardana. 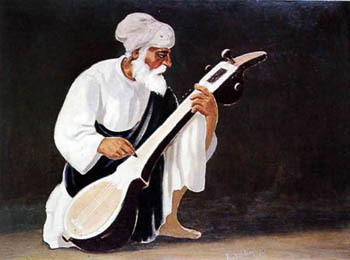 Mardana played Rabab while Guru sang. He was a Muslim. Guru preached to the world love, compassion, and communal harmony. He also enlightened the people about the falsehood spread by some religious groups both Muslims and Hindus. It was all based on solid logic and illustrated through simple examples. The future generations of Mardana remained attached to the succeeding Gurus of Sikhs. Of them was Bhai Ghulam Mohammad Chand, who lived in Lahore Pakistan and breathed his last on 29th April 2015 after illness. Although he died with one unfulfilled desire. It was to recite kirtan in the Golden Temple at Amritsar. His request in 2008 was declined by Shiromani Gurudwara Parbandhak Committee (SGPC) on the grounds that he was not a Sikh who was not baptized a rule that was enacted in 1947. He has performed Kirtans in many Gurudwaras both in Pakistan and abroad. He was the sixth generation of Bhai Sadha and Bhai Madha, who sang during the lifetimes of ninth and tenth Guru Teg Bahadur and Guru Gobind Singh. His father Bhai Sunder Giani was one of the last rababis to perform in Darbar Sahib (Golden Temple) before 1947. Navtej Kaur Purewal, deputy director, South Asia Institute, School of Oriental and African Studies (SOAS), University of London also sponsored Ghulam Mohammad’s historic visit to the UK in 2011 and also wrote a research paper on the History of the Rababi Tradition of Shabad Kirtan. 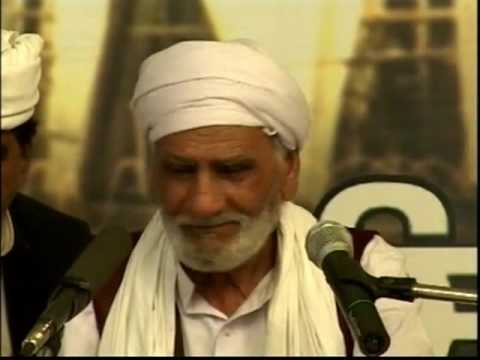 Born in Rajasansi village near Amritsar in 1927, Bhai Ghulam Mohammad had migrated to Pakistan. Previous Previous post: Searching the elusive Saraswati !!!! !